When it comes to bathroom equipment, one must understand that besides the utmost importance of the safety and comfort, price and affordability are great factors as well. 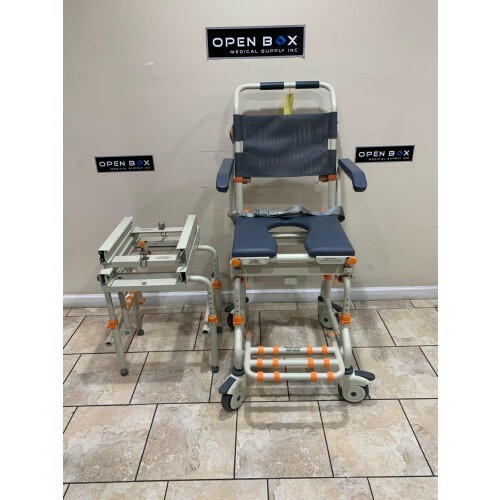 From simple shower chairs to commodes & shower wheelchairs, Open Box Medical offers open box and demo bathroom equipment for a much lower and affordable price. This is Brand New Invacare CareGuard Tool-Less Shower Chair. 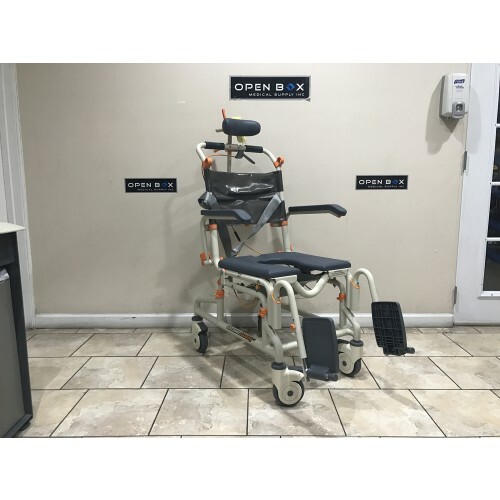 The Invacare Care Guard Tool-Less Shower Chair without Back offers stability and comfort at an economical price. 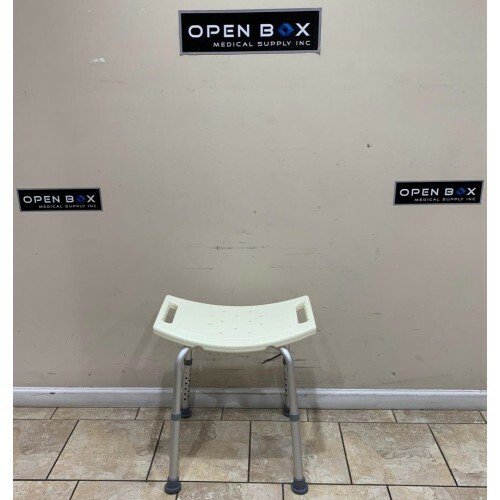 This is Brand New Open Box Nova Ortho-Med 360° Swivel Transfer Bath Seat.You can swivel your Nova Swiveling Bath Transfer Seat 360° and lock it into 4 90° positions. 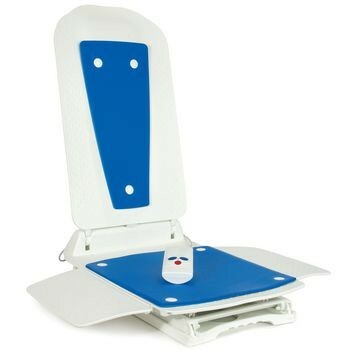 The special functions of the Nova Swiveling Bath Transfer Seat let the patient transfer into the seat, then turn into the desired showering position. This is a Brand New Bathmaster Deltis Reclining Bath Lift in its original box. The Bathmaster Deltis Bath Lift is specially designed to enable a user to easily get in and out of the bath. This is a liquidation sale. 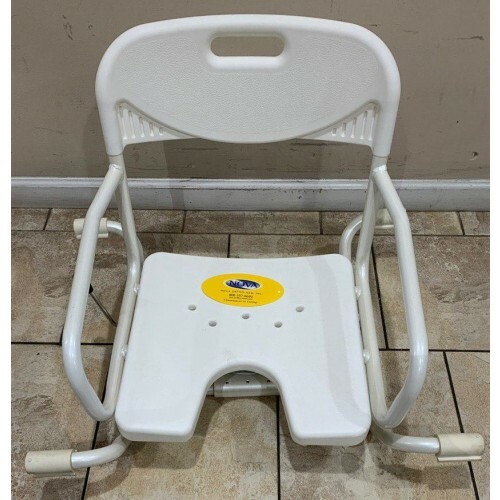 This is hardly used TubBuddy Shower Chair in Like New Condition. The TubBuddy SB2 transfer system will turn your existing bath tub into an accessible bathroom that allows you to enjoy showering again without the excessive cost, delay and stress of a full bathroom remodel. 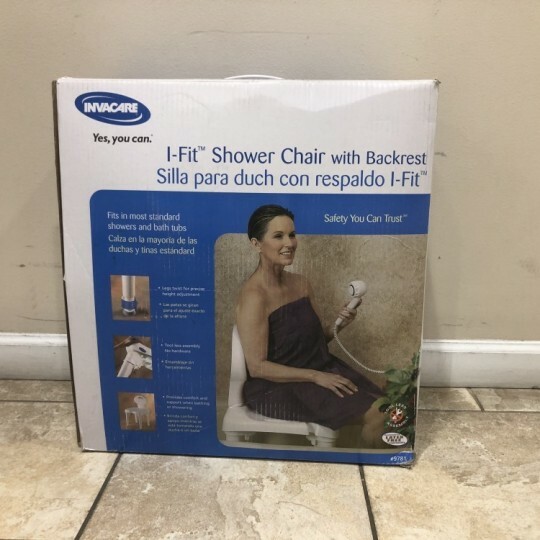 Never Used I-Fit Molded Shower Chair w/ Back from Invacare, Brand New Condition. This Shower Chair offers stability & comfort for users who require support in the shower, & assembles easily without tools. Comes with height adjustable legs & drain holes in seat to eliminate water retention. 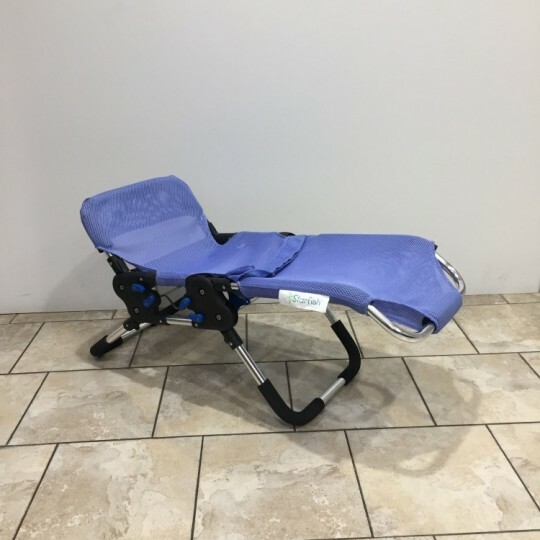 Never Used Starfish Bath Chair (Size 2) from Tumble Forms, Brand New Condition. This is a highly-adjustable Shower Chair for adolescent users which offers a wide range of height & angle positions to make bathing easier. This Adjustable Shower Chair comes with padded support bars & an extra soft, breathable mesh material seat that provides added comfort. This is a never-used 3-in-1 Commode Wheelchair in New Condition. 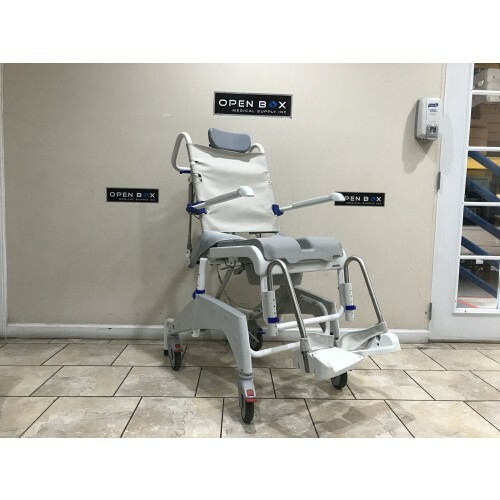 This Commode Wheelchair can be used as a Shower wheelchair, Bedside Commode, or just a mobile commode wheelchair. 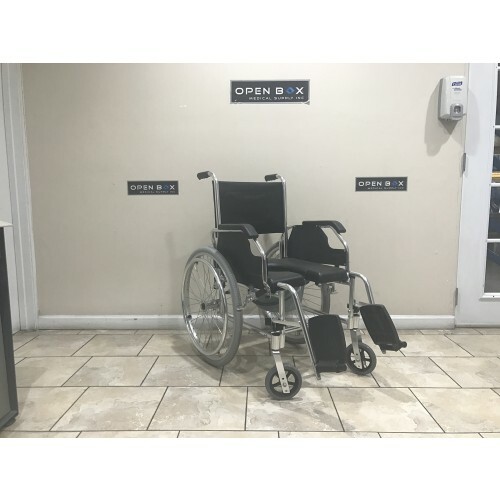 This will work great for someone who needs an affordable commode chair that can also be used as a wheelchair. This Open-Box SB3T Roll-In Buddy with Tilt has never been used, and is in Like-New Condition. The SB3T Provides 30° of infinite tilt positioning, and the safety belt provides the user with added security. The Commode system is removable for use over most standard toilets! This is used Aquatec Ocean VIP Unit in Excellent condition. This shower commode chair features 4 locking casters, and a stable & durable tilting mechanism for 35 degrees of tilt. 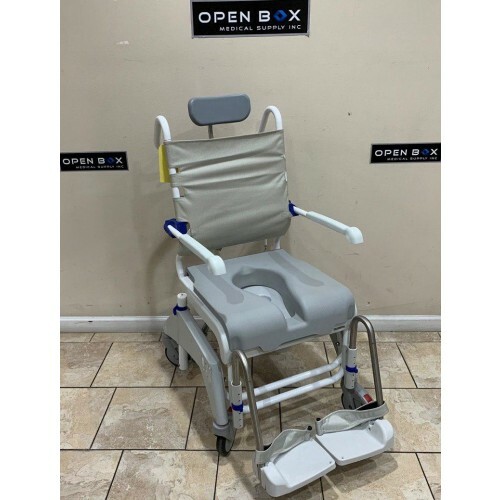 This is an open box Aquatec Ocean Dual VIP Tilt-In-Space Shower Commode Chair in New Condition. The Ocean dual VIP shower commode chair features reclining back up to 50°, and offers greater seating and positioning possibilities. The seat tilt can be adjusted up to 35°. 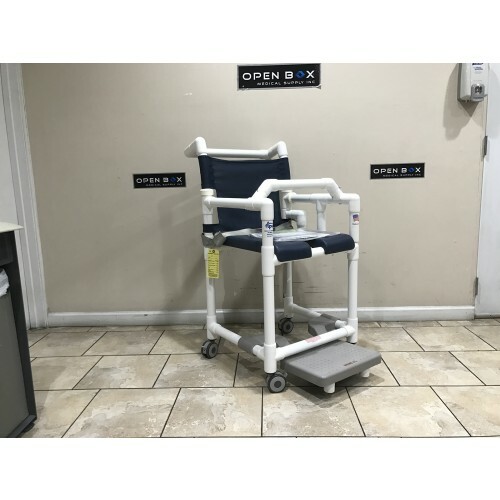 This is an Open Box, Fully-Loaded with options, Open Front Soft Seat Shower Chair Commode in Excellent condition. This Shower chair is constructed from a sturdy, lightweight, & rust-proof PVC frame. The open front part of the chair allows for easy washing, and the soft seat & mesh back provides the user with a comfortable seating surface.